The meaning of buying a car at auction has changed in recent years. It used to be the case that they were only held at physical auction houses, whereas now the rise of online car auctions has opened up a fantastic new way for buyers to make huge savings on salvage, seized or used cars. This also means that many guides to buying a car at auction are now slightly outdated, as lots don’t account for the expanding online side of the industry. We’re looking to change that this week here at RAW2K, so our quick guide to buying a car at auction is split into two sections, with answers that deal with both physical and online car auctions. Where are car auctions held? Is it possible to just turn up and start bidding? How much does it cost to buy a car at auction? So without further ado – let’s get started. What kind of cars sell at auction? Lots of people associate the biggest car auctions with vintage or classic vehicles – especially if they’ve never been to an auction themselves – but the truth is that you can find almost any kind of car being sold (and this is true for both online and physical auction houses.) Certain auction houses focus on selling certain makes or models, and many are known to hold trade-only events for dealers, rather than private buyers. This is so that used car garages have access to a consistent flow of stock, and that too many private sales don’t drive up the overall price of used cars. When it comes to online car auctions, broadly the same rules apply. That’s no different for us here at RAW2K – amongst our range you’ll find a huge variety of used, seized or salvage cars, including models from leading manufacturers like BMW, Ford, Mercedes, Renault, Peugeot, Audi, Vauxhall and Volkswagen. Our range spans almost all the different salvage categories; the only insurance write-offs that we don’t stock are those in Category A, since by definition these are usually so badly damaged that they are of little use to any buyers, whether private or commercial. There are physical auction houses all over the country, though some of the biggest ones are concentrated in major cities such as London. If you’re planning on attending a physical car auction, you’ll usually have to prepare to take at least one day off work to attend it, as they’re often held in the middle of the working day. It also might involve travelling a fair distance, though you may find this worth it if you’re after a specific vehicle or a particularly rare auction car. Some auction houses also offer a delivery service, but this can be expensive – especially when added to all the various auction fees (which we’ll discuss in more detail below). For all intents and purposes, online car auctions are held in the comfort of your own home. It’s far less of a rigorous demand on your time, though obviously you’ll need to keep a regular eye on your bids to check whether anyone is outbidding on you. It also means that you can expand your options by potentially bidding on several cars at once – although naturally you’ll need to be extremely careful doing this, just in case you end up being the highest winning bidder on more than one! If you’re considering buying an auction car you’ll probably be well-versed in what to look for already, but just in case you’re not, then it’s definitely worth taking the time to consult a friend or acquaintance who does. In the case of physical auctions, you may well want to bring them to the auction house, whereas with online auctions they can simply take a quick look over your shoulder, and clear up anything you might be unsure of. Attending a physical auction is well-known for being particularly demanding, so many experts recommend visiting several times before you buy a car for the first time. First of all you’ll need to know all the various jargon – an obvious example is that car being sold is referred to as a separate ‘lot’. Being unfamiliar with these terms could potentially mean you miss important information at the auction, which can results in expensive mistakes. You’ll need to arrive early at the auction venue, and this will give you a chance to carry out a pre-sale inspection yourself. This is where some technical motoring knowledge comes in, as you’ll need to know what faults to look for, and which questions to ask, which means the onus is entirely on you to gain a comprehensive understanding of all the defects with the car. It’s a good idea to pay for a professional inspection of the vehicle beforehand, but your own inspection is an excellent opportunity to get clarification on some of the finer details, so you’ll need to make sure you’re prepared. As you may have guessed, test drives won’t be available. Also, make sure that you’ve read the description provided by the auction house, as it will contain vital information about the status and condition of the car. If you miss something important – like its salvage class – the consequences will be up to you! The vast majority of online car auction sites will require you to register beforehand, just like we do here at RAW2K! We’ve streamlined our registration process to ensure that it’s as easy, fast and simple as possible. Amongst the details we need are your name and address (whether yours personally or those of your business), as well as proper identification documents. You can find full details of what we’ll need from you on the FAQs page on our website. If it’s at all possible, we’d also recommend booking in an inspection of the vehicle by a professional mechanic. 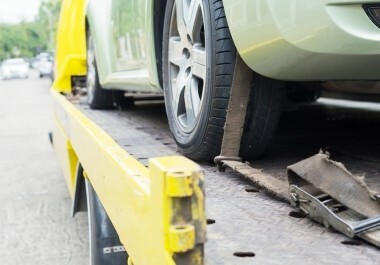 However, as we’ve noted on our Terms and Conditions page, an inspection by itself doesn’t constitute a warranty – though a professional mechanic will be able to provide a fuller picture of the vehicle’s condition than an amateur would. You don’t have to prepare yourself with any questions or prior information before you start bidding on an online vehicle auction, as we’ve taken care to lay out all the information clearly for you on each vehicle’s page. (You don’t have to be registered in order to view the vehicles, but you do have to be registered to bid.) If you’ve got any specific questions you can’t find the answers to, you can get in touch with us using the buttons along the right hand side of the page. Can I just turn up and start bidding? As we’ve briefly noted above, most experts don’t recommend it. Physical auctions are fast paced and can be difficult to follow without practice, which means it can be easy for inexperienced buyers to make expensive mistakes. It’s wise to turn up to at least one or two before you buy anything, just to get a feel for it. The auctioneer will also begin with a lot of relevant information about the lot he’s selling, so you’ll need to make sure you listen carefully – and know what to listen for! He may mention something that would make the difference between you buying the car or not, and if you miss this information because you’re not prepared, it can land you in a lot of hot water later on. Our process is simple: just search, sign up and start bidding! As soon as you’re registered, you can start bidding immediately on a huge range of used, seized and salvage cars. As we touched on above, all the information is laid out for you, and online car auctions are specifically designed to be far more accessible and easy to understand than physical auctions often are. 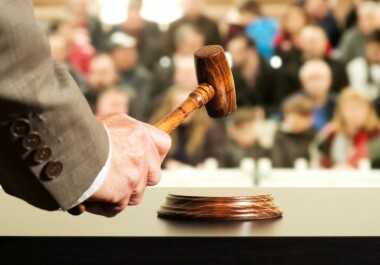 As the auction starts, the auctioneer will call out prices (often in a continuous stream of speech, with very occasional pause for breath), and potential buyers bid by raising their hands or a copy of their catalogue. This will continue until there are no more buyers left in the room, at which point the hammer comes down and the car is awarded to the highest bidder. It’s just as fast-paced as it sounds – one of many reasons it’s good to attend a few first before you start bidding! 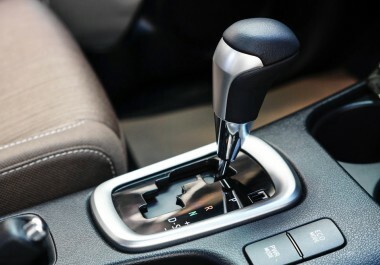 As you’ve probably guessed, bidding at online car auctions is simply a matter of clicking the button. It’s worth remembering that in order to see the new bids, you’ll need to periodically refresh the page. Here at RAW2K, we send you an email every time someone outbids you, but it’s not unheard of for these emails to take several hours to be processed by certain email providers. The easiest and most reliable ways to keep track of them yourself, checking every time you refresh the page. There’s no easy answer to this question, as it depends on what kind of car you’re buying and what sort of condition it’s in. 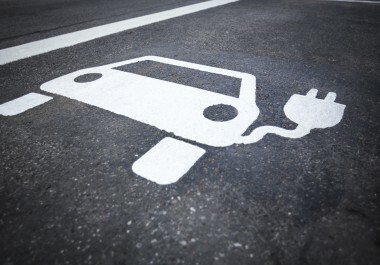 But it’s not just the cost of the car – there are also additional costs like auction fees and payment methods to consider. This can obviously vary depending on exactly which auction house or website you’re dealing with, but there are a couple of general rules which normally hold true. Whenever an auction house sells a car, it will have its own fees that apply. These are normally not prohibitively expensive, but they can quickly add up (and they’re usually more costly than those you’d have online). 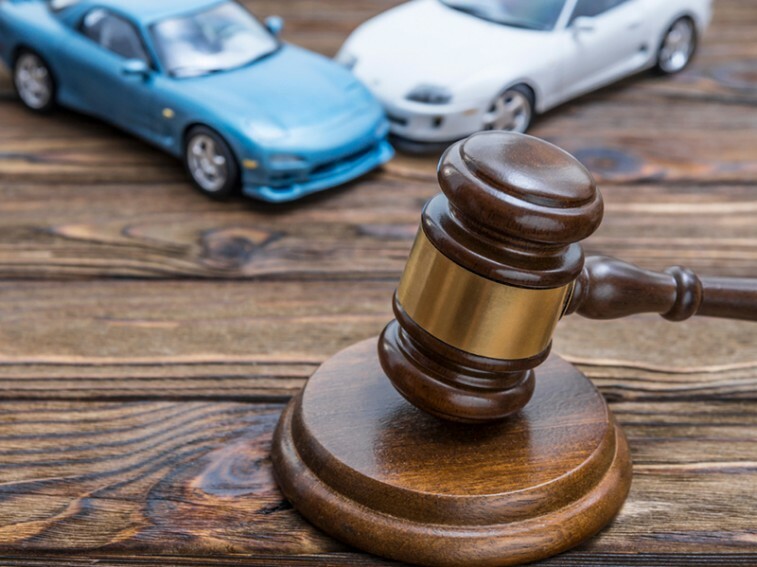 Once you’ve successfully bought your auction car, you’ll need to go to the cashier’s office and pay an immediate deposit of £500 or 20% of the car’s cost – whichever is the greater amount. Some of the largest and most well-known auction houses charge a 2.5% handling fee for credit card payments, with a limit of £50,000. Cash payments, on the other hand, have an associated handling fee of about 1.25% and are limited to about £9,000 (although obviously, carrying around that volume of cash is never strongly recommended!). These payments have to clear the auction house’s account before they’ll permit you to take the car away. Meanwhile, the car itself incurs an additional storage fee for every day that it remains on-site at the auction house, so that might be another cost to be aware of. As we’ve touched upon, online car auctions generally have drastically lower fees for buyers. Here at RAW2K, there are no fees to buy a car for businesses, whereas for individuals there’s only a £20 charge on their first purchase. After that, any further purchases are free. It’s worth saying that before you send payment to the seller, definitely take the time to verify their address and phone number. Don’t place your trust solely in an email address. As outlined in our own terms and conditions, we can’t be held responsible for any problems when it comes to payment. Don’t forget to ask the seller for a receipt! Finally, remember that once the car is sold, it becomes your responsibility. That means that if you intend to take it back on the road, you’ll need to ensure that it’s appropriately taxed and insured. We’ll go into more depth on this in a future post. For now, we’ve still got a huge range of used, salvage and seized cars in our range, suitable for a vast array of budgets¬ – so why not see what we’ve got in stock?